Strong winds, isolated flooding, a coating of snow, and a little sleet did not prevent my school district from closing, but I’m home anyway, because B’Dazzle’s school is closed. So what’s my plan for the day? Remain inside and work through my list. B’Dazzle’s Snow Folder – Will explain.. Done! Cook black-eyed peas with smoked turkey legs in the crock pot (will post the recipe later) – Done! Check my work email – Done! There are strings attached to B’Dazzle’s school closings; another reason I love his school! 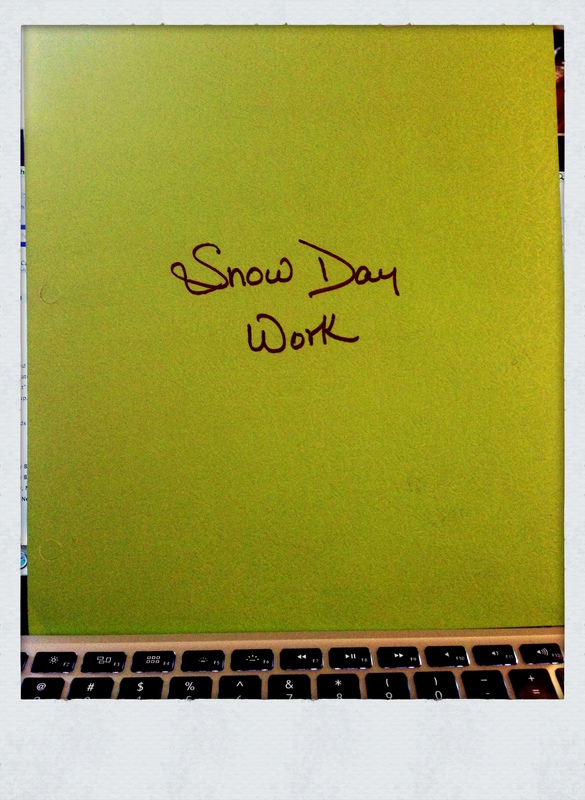 Each student is given a snow folder that stays at home. 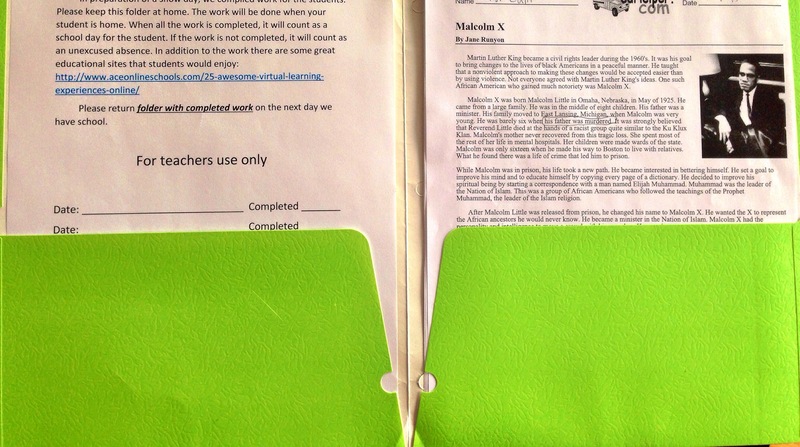 The folder contains reading, writing and math assignments. When school is closed due to inclement weather, students are expected to complete the assignment. The absence is only excused, when the student completes and submits the work the next day of school. The idea is to make sure that students are productive on their unscheduled day off from school. He’s almost finished. As soon as he’s finished, I can begin my workout. Since I enjoy loud music during my workout, I did not want to distract him, so I waited. I’m not sure if sitting down and writing this was a good idea. I’m all relaxed now and feel the urge to crawl back in the bed, especially since it’s not made up. Hmm… Choices! Nah… I’m gonna do the right thing and work out– May is just around the corner; this is not the time to slack. This entry was posted in Fitness, Healthy Living, Inspiration, Uncategorized and tagged ab training, black eyed peas, fitness training, HIIT Training, slacking, snow day. Bookmark the permalink. Once your body recovers, you’ll be back in your routine again. I have never been able to sleep late. Whenever I wake up, I get up to do things.